This is a series of hands on furniture making classes that should be taken in succession as each project builds on skills learned in the previous classes. This series is not a required prerequisite for any other classes contained in this schedule. 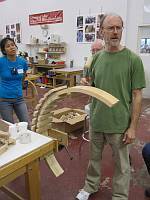 An eight-session class that is a continuation of the Woodworking I class. 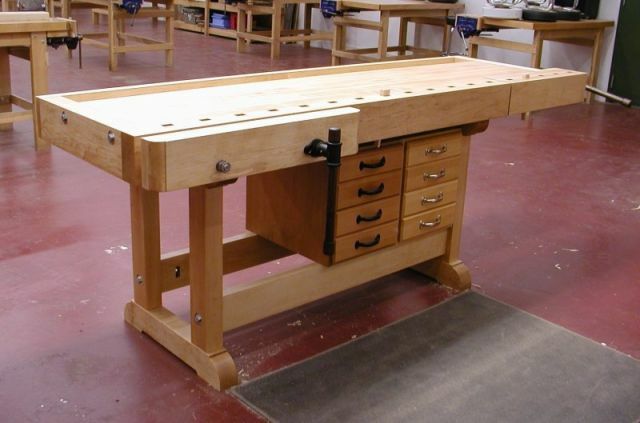 This class utilizes a combination of hand tools and power tools in the construction of a valuable piece of furniture. Techniques learned in the previous class are put to extensive use as more advanced techniques and skills are introduced. Mortise and tenon joints, grain matching, and using handplanes are a few of the new skills students will learn while making a cherry hall table as their project. Class size is limited, Woodworking I is a prerequisite. Tuition: $395.00 plus materials ($225.00). The pinnacle of home cabinetmakinag is the kitchen cabinet. This is also a subject that many people have asked for over the years. Tim Spratlin is a professional cabinet maker and is able to show you loads of time saving techniques to help you on your way to building your own kitchen cabinets. You may just be interested in a simpler project like a bathroom vanity– but the techniques and principles are all the same! Tim will review the standards involved in modern kitchen design; ie. the height of counters, depths of cabinets, etc., and demonstrate the installation process. 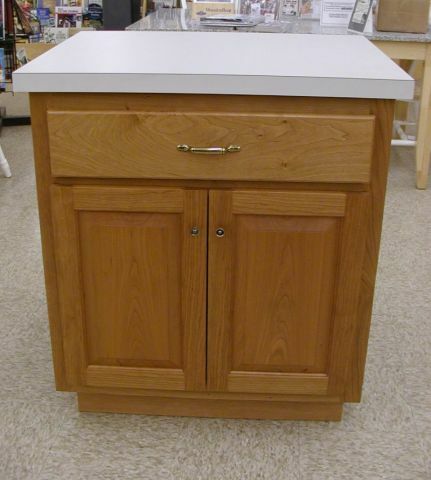 The cabinet you will make in class is a small (about 28” wide) free standing unit that utilizes all the challenges you will face in building a full set of cabinets. 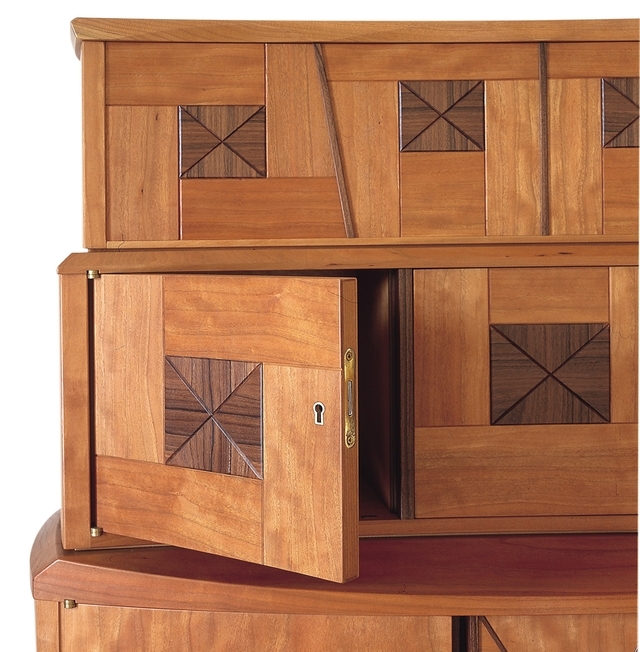 The project will incorporate a face frame, a raised panel door, a drawer, a laminated top and European hardware. Options for different types of countertops will be discussed. The cabinet you make in class could then be used at home as a free standing vanity, a storage cabinet or even a sharpening station in a workshop- but more importantly, it will give you the knowledge and confidence to tackle that larger kitchen project that you have been putting off! If you’ve been waiting for the right time to rebuild your kitchen, then this class will get you started on the right track. This class meets four full days over two weekends. Tuition $495.00 plus materials. 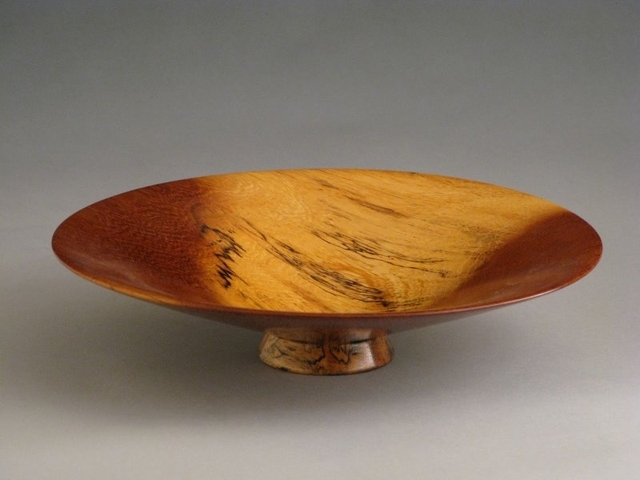 Many students have asked for a class that offers the opportunity to turn bowls and only bowls. 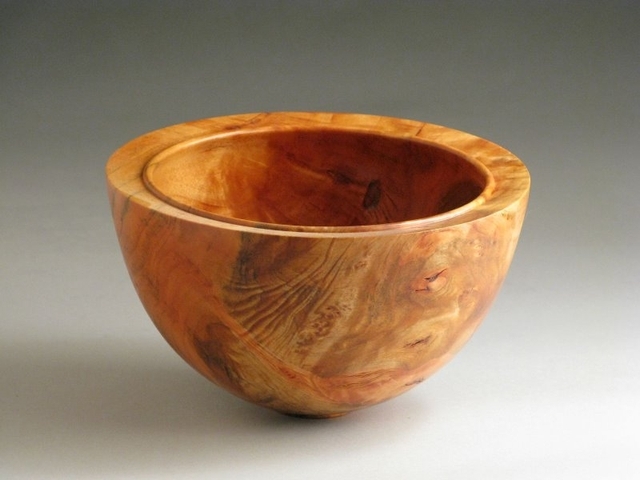 Students will have the opportunity to turn a shallow bowl, a deeper bowl, and time permitting- a third bowl or a plate (think very shallow bowl…). Participants will learn to make jigs and fixtures that will be useful in finishing the bottom of any bowl. We will get into the use of a four jaw chuck as well as alternative ways to hold the work on the lathe without using a commercially made chuck. Sharp tools are essential so we will be spending time at the grinder learning about sharpening bowl gouges and scrapers. Techniques for sanding and finishing bowls will also be covered. 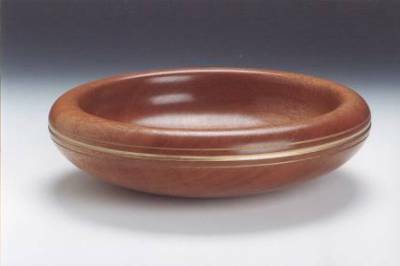 This is a great class whether you have turned a number of bowls already or have never even thought of turning a bowl. Sign up today. Space is limited to the number of lathes we have! Over the years I have done hundreds of classes which feature projects that teach particular skills. The problem with these project classes is that the logistics of the class prevent us from spending sufficient time on any given new skill to really understand and gain any kind of proficiency in it. In this 6 week (4 days per week) class there is no project– Just skills, technique and practice. With no project to distract us we are able to spend days rather than hours to insure learning of basic– and not so basic—furniture making skills and techniques. When I changed the format of this class to no project, just skills- I really believe it has become one of the best classes I have offered in years. Everyone really learns a lot and has a great time! Plan on spending two to three days on the basic milling process– a strong foundation is essential to more advanced techniques. 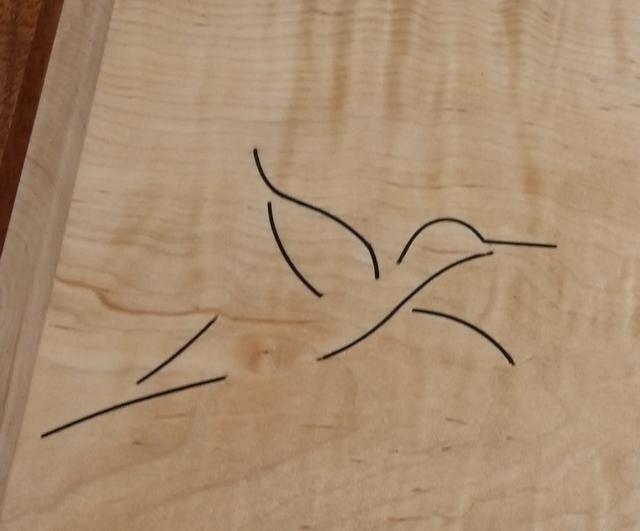 Instead of learning just enough to get through dovetailing a drawer, plan on spending at least three full days– maybe four, on dovetails. 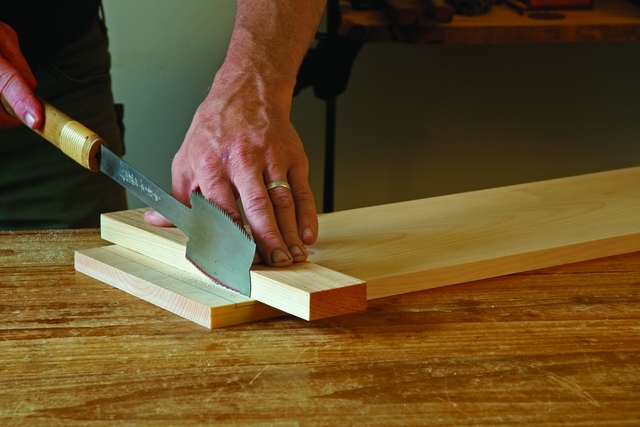 With these new hand skills, cutting a dovetail or a tenon by hand turns out to be a pretty simple affair which you will be able to do! FYI- You will be cutting a set of dovetails every day of this class. Machine set ups? I already know how to set up the machine– so in this class I will not set anything up– You will do that– after my demo and explanation of course. You will learn what it takes to flatten a tabletop– by machine and by hand, and glue up a tabletop– using one clamp and a handplane. We will get into planning a project, basic wood technology, buying lumber, tool sharpening, cutting joints -by machine and by hand, along with basic finishing techniques . 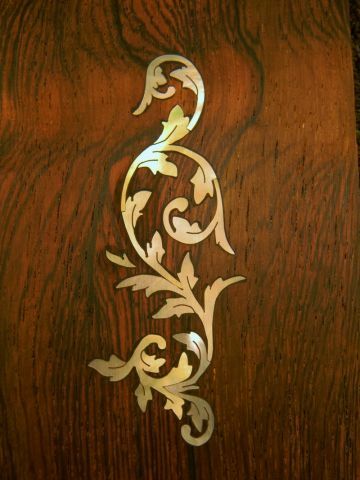 Ornamentation is a big part of fine furniture so plan on spending a few days on working with veneers, inlay and making decorative bandings. It is always good to get a second viewpoint so I have arranged for some guest instructors to spend a day or two with us. Will Neptune will be here to do a day of hands on carving and hopefully Mike Pekovich will be able to stop by to introduce you to some of his design ideas and techniques. Plan on expanding your ideas on furniture making and design- and plan on taking a few field trips to inspect some of the finest furniture made in Connecticut- entirely by hand! 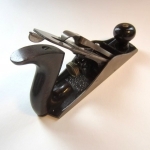 Proficiency in handtools is essential in any high end furniture making and we will spend a lot of our time on just that– plan on spending at least a whole day - probably two- just on working with handplanes– and at least another whole day just on sharpening. Because the handtools you are using are so critical to your success I am strongly recommending ( I repeat- STRONGLY RECOMMENDING!) you purchase the tapered dovetail saw from Lie Nielsen Toolworks. My experience shows that this is one of the best doveail saws on the market at a very fair price (mention that you are taking the class at CVSW to recieve the 10% student discount). Cheaper saws will just frustrate you and after using mine you will probably just end up buying it anyway! We will emphasize the proper and safe use of common woodshop machinery such as the table saw, jointer, thickness planer, router and bandsaw. The school has a full complement of ready to use high end hand tools and power tools which you are welcome to use. These tools also will give you some experience and guidance in picking out your own tools which you will eventually need to acquire. 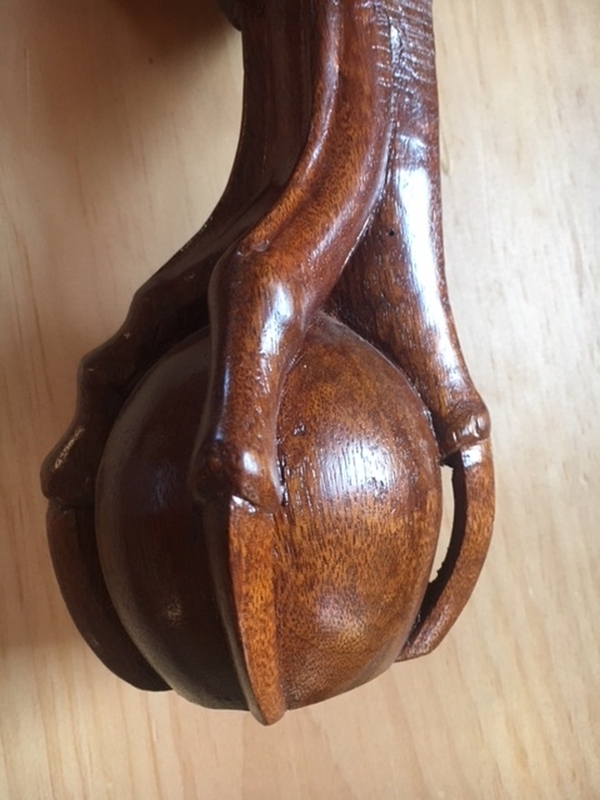 There are innumerable styles of ball and claw feet found in early furniture. The most distinctive styles are generally associated with New York, Boston, Philadelphia and Newport. They were all based on a stylized Chinese dragon’s foot and the most lifelike and distinctive of all is the ball & claw that originated in Newport, Rhode Island. Among the Rhode Island examples, the carvings from John Townsend are the most dynamic and expressive in their execution and design. 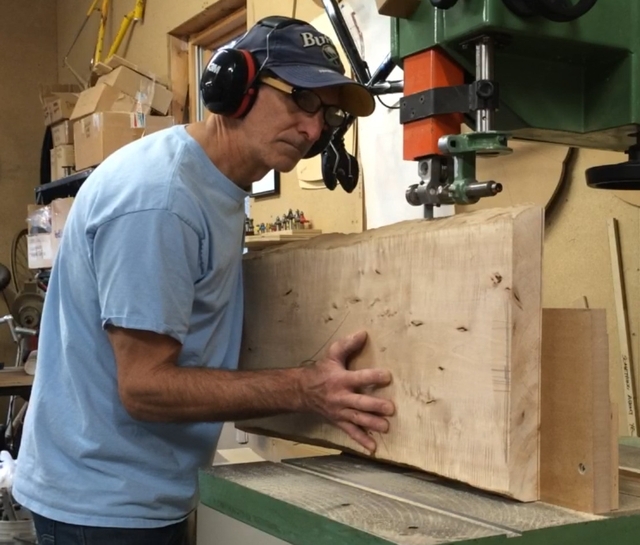 In this two-day hands on class we will carve a Townsend example from an early high chest that once belonged to an early governor of Connecticut. 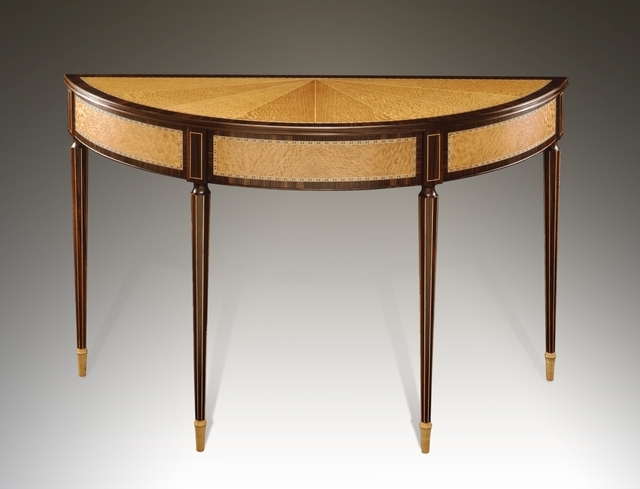 Al Breed is a leading expert on the history and construction of Newport Style furniture and works very closely with such distinguished institutions as the Boston Museum of Fine Arts and the Yale Art Gallery. He has written numerous articles for Fine Woodworking Magazine. Al is also a recipient of the SAPFMM Cartouche award and runs his own school in Southern Maine. Don’t miss this unique opportunity to learn from one of our country’s leading experts. There are a number of carving tools that you will need to bring with you. That list is on the school website www.schoolofwodworking.com. 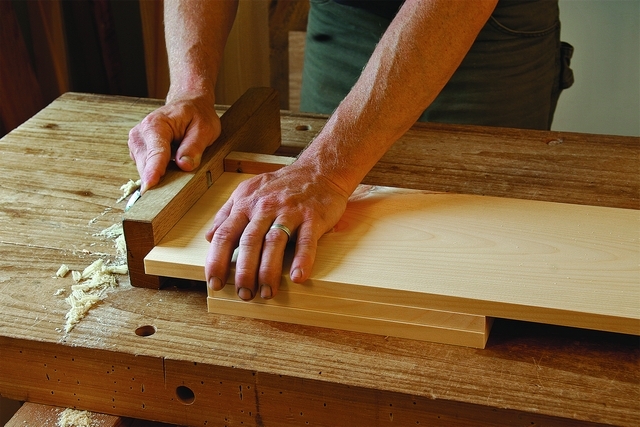 Take the plunge and begin to learn about Japanese Joinery- done completely by hand. 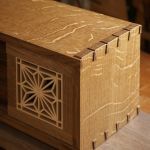 Japanese furniture joints- and most Oriental joinery, is seemingly complex but under Andrew Hunter’s careful guidance you are assured of getting on the right road to learning some intriguing and fascinating furniture joints. You will begin this series with a Japanese scarf joint. 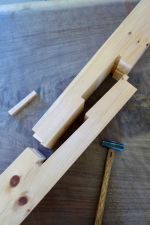 This blind dadoed, rabbeted and keyed scarf joint is a mouthful to say, but with a little guidance even a beginning woodworker is capable of making one. Known as a Kanawa tsugi, it has been used in Japan for centuries to splice together two beams, creating a single, longer beam capable of sustaining multi-directional forces. 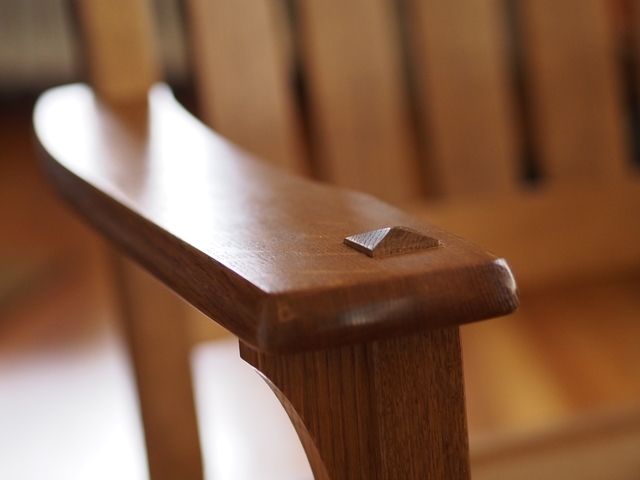 For this class, the Kanawa tsugi is a great way to develop your skills as a woodworker. 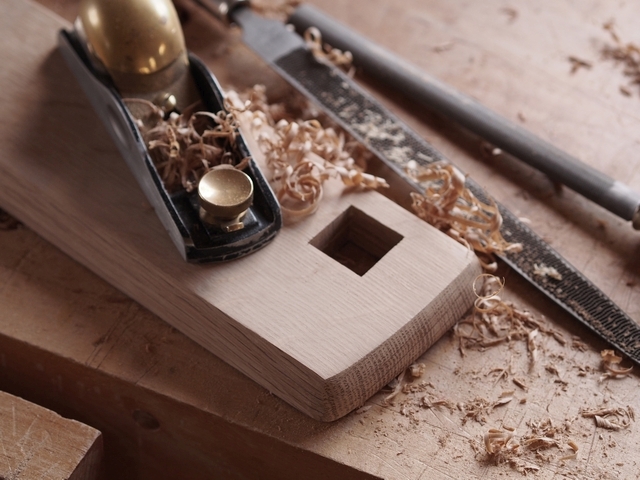 Each student will make their own two-part joint entirely with hand tools. First, you will learn how to layout the joint using a center line as a reference plane, a method that allows irregular shaped members to be seamlessly fit together. Next, you will saw, chop and pare to the lines. Then, assuming the critical first steps are correct, assembly should be a breeze and the tapered pin drives it home. Andrew will have some of his own Japanese tools for students to try or you can bring your own. The school’s Western style hand tools are also available, and this is a great opportunity to try both Western & Japanese tools to do the same jobs. Whichever tools you choose, Andrew will broaden your understanding of how to use them correctly and efficiently. He has been building furniture by hand for over 20 years and is passionate about encouraging people to strengthen their building skills and cultivate an appreciation for the craft of woodworking. Sign up today for this truly unique and challenging class. The tablesaw is one of the most basic and common shop machines in use– but it is it is frequently misunderstood and it is rarely used to its fullest potential. In this unique demonstration Fine Woodworking Magazine Author & Director of the Connecticut Valley School of Woodworking, Bob Van Dyke will begin with a review of basic techniques and concepts for safe and effective use of this shop workhorse. Bob will go on to concentrate his demonstration on the many uses of a little known tablesaw fixture called an “L” fence. With this simple and ingenious jig, tasks such as cutting any angle at all, flush cutting to a pattern and cutting concentrically larger or smaller shapes become safe, accurate and incredibly easy. We will examine the many practical applications for these unique techniques and then go on to explore techniques for cutting accurate shoulders on curved furniture parts, simple techniques to cut angled tenons and safe and efficient ways to cut bevels on large panels without getting any burning. Bob's presentation assumes a working knowledge of the tablesaw and will focus on techniques specific to furniture making. This is not a beginning tablesaw demonstration. Stop making compromises with your router. Stop getting “close enough”. Learn how to use some of the most abundant molding planes of the past to get the exact edge you are after. Hollows and rounds do not make specific profiles. They make specific arcs. Learn to transform these few arcs into scores of various profiles. From layout to execution, this weekend class will focus on creating various moldings with these extraordinarily versatile planes. The class will start off with maintaining the cutting edge, then move to laying out and ultimately sticking (planing) several moldings that will range from simple coves and ovolos through ogees, cymas and various combinations. The class will focus on hollows and rounds sized 6 and 10 along with a rabbet plane. Students will have the opportunity to bring their own performing planes or they can use newly made planes by M. S. Bickford, planemaker. Students will also have the opportunity to use a larger range of planes. Each student will leave with several picture frames and the ability to transfer moldings he or she sees in person or print into wood and onto their project. Sign up today - this is a great opportunity to learn the use of these versatile planes- and learn a little about how they are made. At the end of the weekend, Matt will make available for sale some of the actual planes you will be using. Tuition $325.00 plus materials. If you have ever done any re-sawing then you know how cool a book matched panel can be. 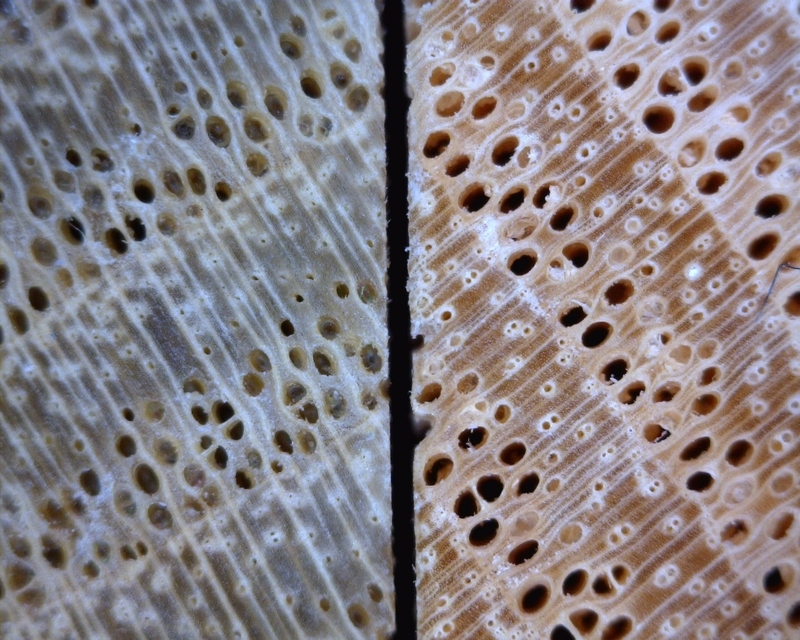 When you incorporate veneers into your work the possibilities for creating spectacular patterns are almost endless! Bookmatching is the simple one- but what about radial matching or parquet? 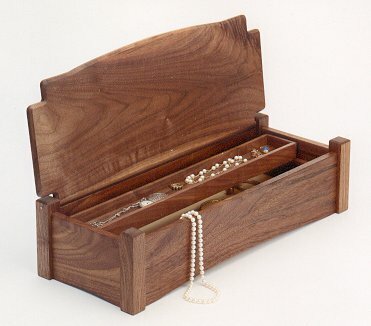 In this hands-on class students will each make a small “Miter Fold” box out of walnut or tiger maple- but before doing that we will explore the endless possibilities of working with veneer to create a striking top for the box. 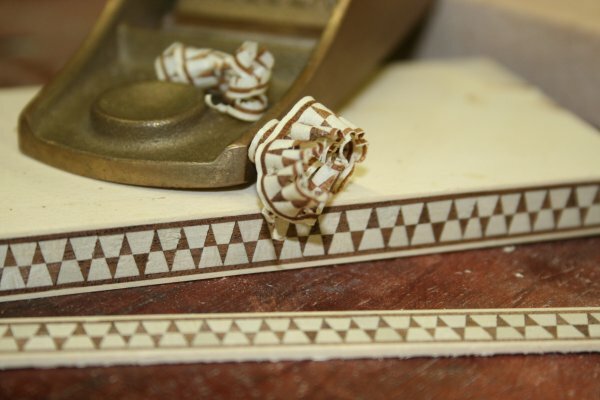 Many veneers require a border to protect the delicate edges- so as a bonus we will explore a little inlay work and make a few different decorative bandings. Creating a “Sunburst” veneer pattern for the Demilune top. The sunburst veneer top will also be surrounded with a contrasting short grain border and a decorative inlay to set off the two veneer patterns. Creating the sunburst on a demilune is actually more complex than it is on a circular panel because the angles of the segments change. We will go into handling veneers, sources for veneer, adhesives and techniques to create virtually invisible seams. Darryl is one of this country’s innovators with working with vacuum presses. Because vacuum presses open up a whole level of advanced veneering techniques this class will also feature the full range of capabilities of using a vacuum press. During this unique class you will be making the primary parts for a demilune table- i.e. the curved aprons and the top. It will be up to you to add the legs and back apron on your own. Here is a class that will give you practical knowledge and experience and will open your eyes to the endless possibilities that working with veneer offers. 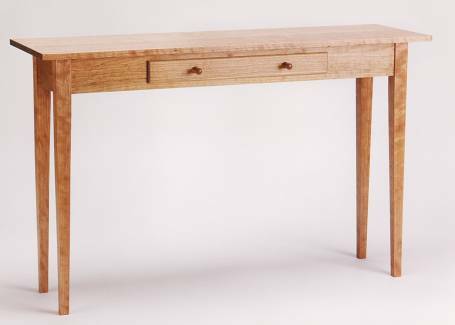 Darryl Keil began making furniture in 1976 after attending the Portland School of Art and was a pioneer in the application of vacuum pressing technology to the woodworking industry. As a leading expert on veneer work he serves as a technical consultant to furniture manufacturing facilities across the country. His company, Vacuum Pressing Systems, operates out of Brunswick, ME. Darryl will be assisted by his son Peter who has been taking on an increasingly responsible role in the company and expands his knowledge of working with veneers continually. Don’t miss this unique opportunity to learn from a leader in the field. Sign up today. 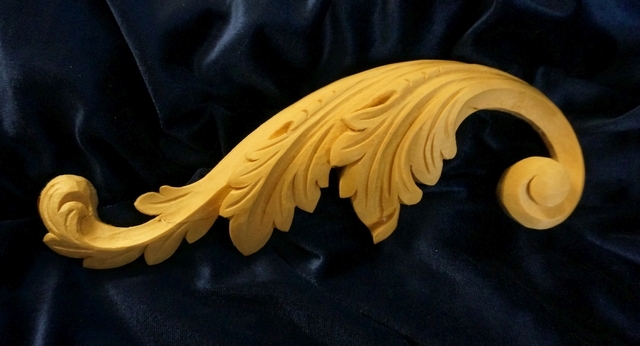 lCome join us in learning the art of the carving the historic Acanthus Leaf. 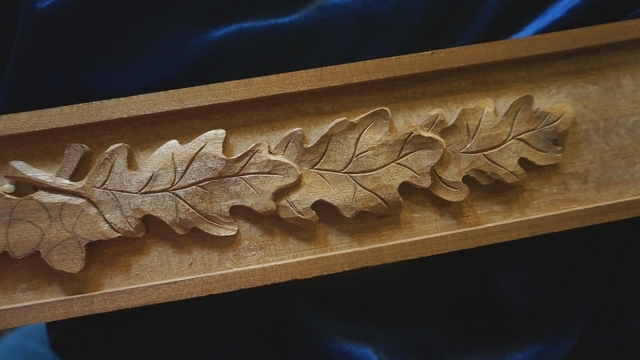 In this weekend class, Mary will walk you through the step-by-step process of how to carve this historical leaf that has been commonly used in designs since Ancient Greek times. 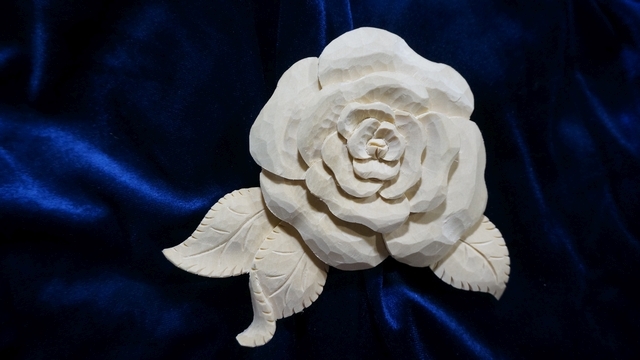 This class is designed for both beginner and experienced carvers. During this class, Mary will also show how to get your tools razor sharp, techniques of carving in the correct grain direction, carving safety, and as many carving tips and tricks as she can jam into two days of hands on carving practice and instruction. It's going to be a lot of fun, so don't miss out! Mary is one of the premier carvers in this country and her classes are always great! Sign up today. Join nationally known furniture maker, Tim Coleman for this fascinating look into the techniques used to create visually exciting textures and patterns by using veneers that you have cut yourself. 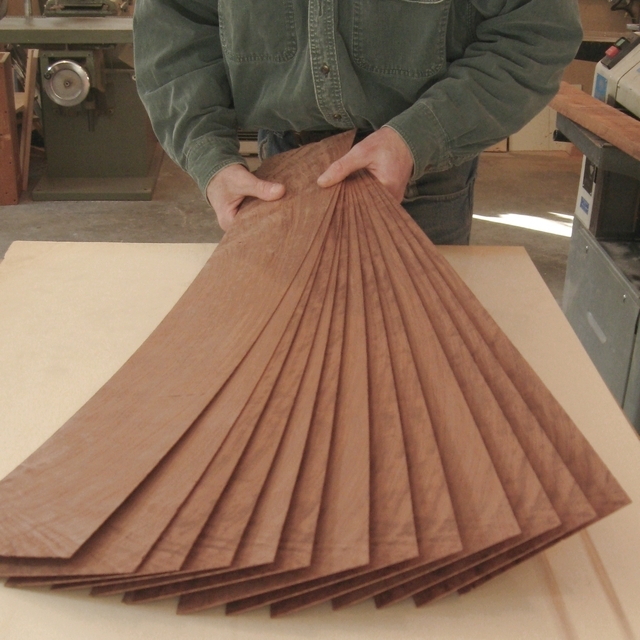 Shop-sawn veneer offers many design and construction possibilities that the thinner commercial veneer cannot. Learn how to make your own veneer using the bandsaw. Do you have a board with incredible figure- and wish you had enough to build something with it? 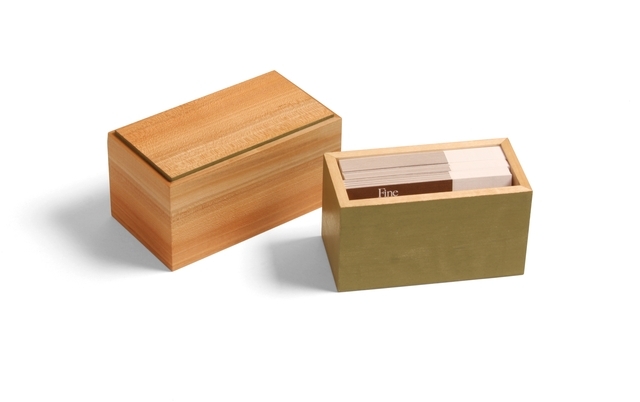 What about stretching that board by cutting it into consecutive leaves of 1/16th inch veneer? In this weekend hands-on class students will learn how to set up the bandsaw to cut accurate veneers. As importantly, Tim will introduce participants to the different veneer substrates and edge banding techniques along with the advantages and disadvantages of each. Adhesives play a big part in working with veneers, so this will be covered, along with the different ways of sequencing sheets of veneer to create dramatic effects and design. You can’t learn effectively by just watching a series of demos- so students will practice the techniques by making a tray- or a wall hanging- of their own design. 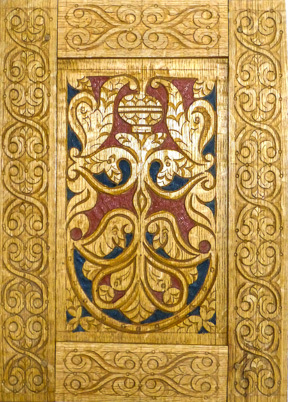 Those of you who took Tim’s earlier class on surface ornamentation could combine effects for an over the top panel! Tim Coleman works out of his shop in Shelburne, Massachusetts and produces unique and striking custom furniture for clients and exhibition. In this class you will develop the skills- and the ideas for different designs that you can begin applying to your next project. 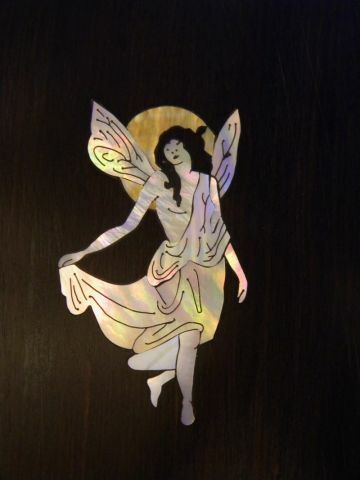 The sky is the limit so join furniture maker, Tim Coleman for this unique class and learn how to use thick veneer to create decorative effects for furniture, boxes, picture or mirror frames. The great thing about running a national woodworking school is that I get to see the techniques of every different instructor who comes here to teach- and there have been a lot of them over the last 17 years! 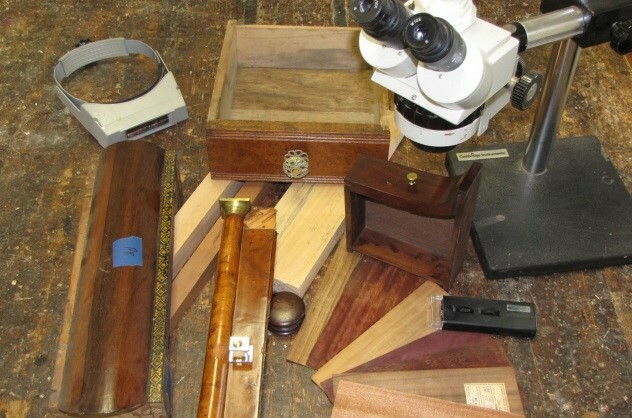 In woodworking- like a lot of things- there is no one “right” way- there are bunches of different ways to accomplish the same thing and that is what this class is all about. I will not be telling you what I think is the "best" way- that is for you to decide- and you will have the opportunity to learn a number of different methods. Cutting dovetails entirely by hand can be intimidating to a lot of people. When cutting dovetails I see students typically making the same mistakes and hitting the same stumbling blocks each time- so that is what we address to start; using a cutting gauge, paring to (and not beyond!) a line, cutting straight lines with a handsaw- and using a sharp chisel! These are all skills that you will practice (and hopefully master) in this class. But this class is much more than just cutting dovetails by hand. This class will show you a number of ways to make “handcut” dovetails that will only require a little bit of paring with a chisel to make them fit perfectly. We will be trying out techniques that use the tablesaw, a trim router, bandsaw, scroll saw and coping saw along with the traditional handsaw and chisels. 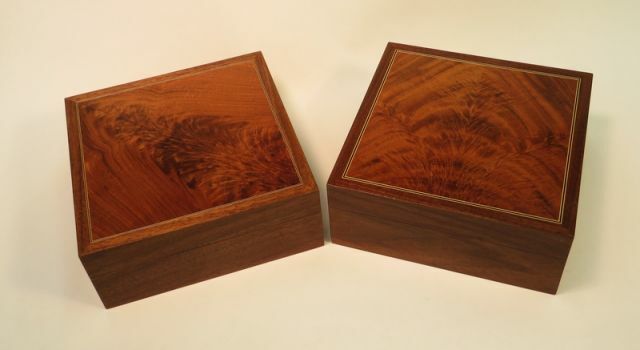 The goal is to get you cutting great looking dovetails using a combination of machines and handtools until you are comfortable enough with the process that you realize doing it all by hand is not that big a deal! This class is a combination of demonstrations and hands-on practice. There is no project for the class- you will be working on a series of practice boards. It is great to see the difference between the first dovetail you make on Saturday and the last dovetail you make Sunday afternoon! 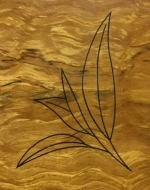 Join well known Massachusetts woodcarver, Peter Follansbee for this unique hands on class. 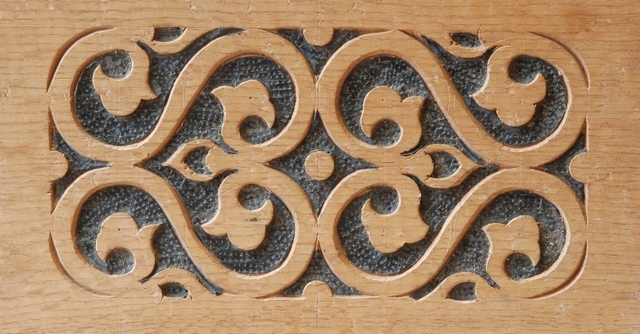 In this two-day course, students will learn the steps and processes used to recreate carving patterns from seventeenth-century furniture of England and New England. Starting with a single gouge and mallet, we will focus on technique and posture. Also considered are proportions, spacing and the relationship between background and foreground in establishing the pattern/design. Each successive practice pattern builds upon the previous example, adding more tools and concepts. We will incorporate hand-pressure, mallet work, and the use of the V-tool in outlining designs. A compass, awl and marking gauge are used to layout the geometric basis for each pattern, but freehand work is included in each a well. A range of designs will be covered, all drawn from surviving examples studied in museum and private collections. 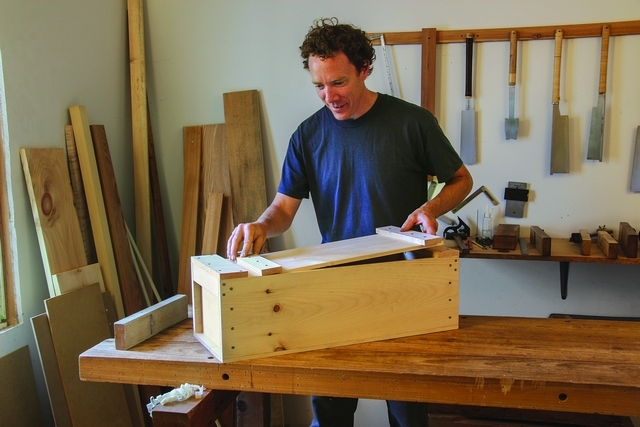 Join Mike Pekovich and make a great little wall cabinet in this 2-weekend class. 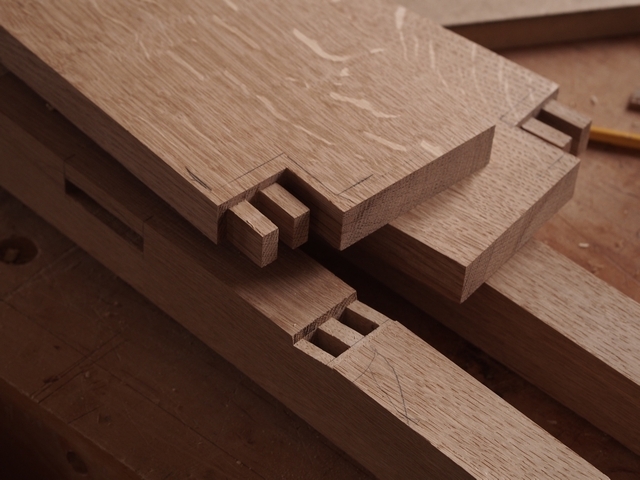 Dovetails offer a lot of strength and some nice visual interest to the case, and Mike has some great tips for cutting accurate, stress-free joinery. 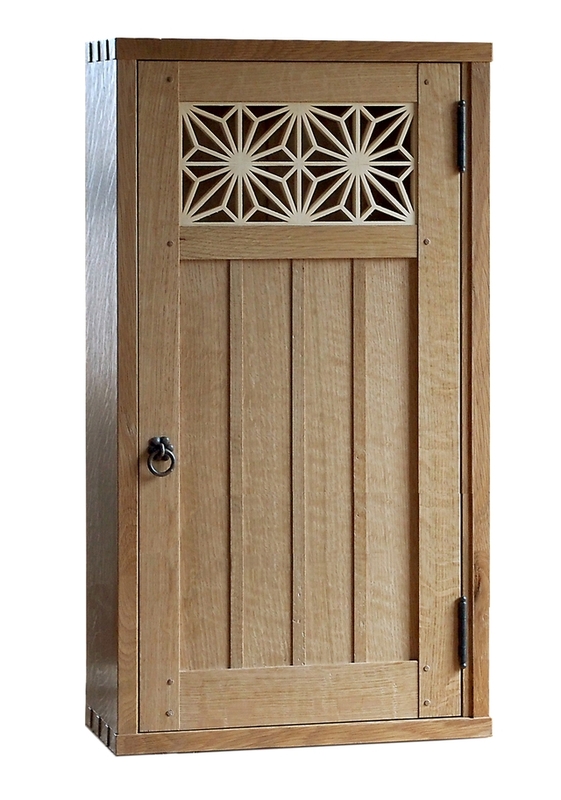 The frame-and-panel door gives the cabinet it's personality and offers some solid lessons in cabinet making. You'll learn how to make, fit and hang a traditional door. In addition, you'll finish it off with a kumiko panel. This traditional Japanese latticework technique is a lot of fun and can brighten up just about any project. 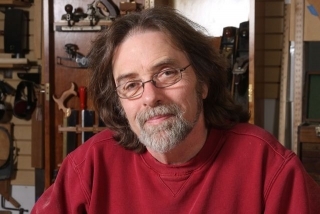 Mike, a long-time woodworker and instructor, is the creative director at Fine Woodworking magazine and the author of The Why and How of Woodworking, Taunton Press, 2018. Sign up today– Mike’s classes always sell out quickly! This class is for people who are serious about woodworking and want to learn how to use the SketchUp 3D design program to save time and money in the shop. With SketchUp, you preview the actual construction of a piece and generate absolutely accurate plans, patterns, and templates. The class is built around four rules for success for using the program to its best advantage. You will need to bring a Windows or Mac laptop loaded with the full-featured free version of SketchUp. We spend the morning on exercises that introduce the important SketchUp tools and get you accustomed to working in a 3D space on the computer. In the afternoon, you see how the rules for success work by designing a piece of furniture. You’ll also learn how to create measured drawings and a cutlist. Go to https://www.sketchup.com/download/all to download the full-featured free version, called SketchUp Make 2017. Join nationally know inlay expert, Steve Latta as we explore and push the limits of adding distinctive decorative details to your work. Furniture makers have lots of options for enhancing their work. 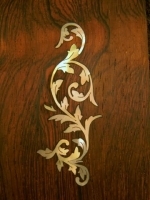 Inlay and ornamental veneer work are two of the oldest methods dating back to ancient Egypt. We will spend a full week on learning Steve’s proven methods for creating striking inlays, bandings and sand shaded paterae. 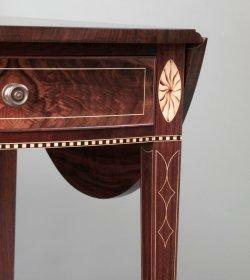 We will begin the week with line-and-berry inlay, a technique native to Chester County PA, which is where Steve lives. After completing a decorative panel, we’ll move on to the Federal period focusing on bandings, ornamental stringing, bell flowers, sand shading and paterae. We’ll discuss regional motifs and interpretations, both rural and urban, as well as the work of a few standouts. Since all of these techniques have a place in contemporary furniture work, we’ll take a look at a few,modern twists in terms of designs and methods that can really add some spice to your work. Although a great deal of information will be presented, students will have ample time to practice and gain an understanding of these techniques. 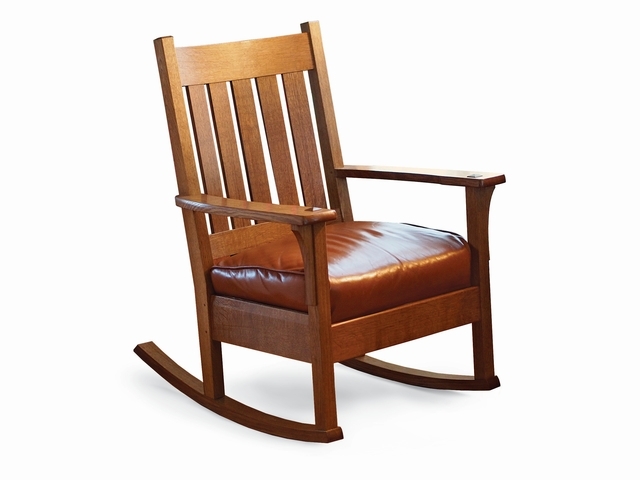 Learn the basics of chair making and more while building a classic Arts and Crafts rocker. In this six-day class we'll cover bent lamination techniques, angled tenon joinery and cutting tenons on curved parts, while making a rocking chair guaranteed to be the most comfortable chair in your house. Fine Woodworking magazine executive art director, Mike Pekovich, will show you his method for breaking down a complex project into simple steps that you can put to use on any project. The class is also a great lesson in building an original piece using craftsman details for an authentic Arts & Crafts look. We anticipate that participants will have most of the chair completed by the end of the class but do not be surprised if you still have some minor “finishing up” work to complete in your own shops. As a special bonus we have arranged a follow up class with well-known upholsterer and CVSW instructor Mike Mascelli. In that Sunday class participants will make the cushion necessary to complete the chair. The upholstery is, of course, something that you can also do on your own or with an upholsterer of your own choosing. What better way to spend a week than to put a woodcarving gouge in your hand, create something beautiful- and have fun! 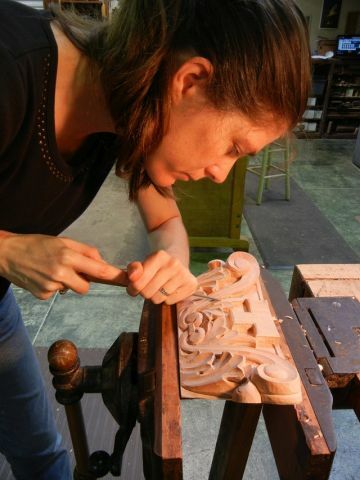 Mary May, a well-known professional woodcarver and instructor from South Carolina, will walk you through the carving process using a variety of relief carving projects. 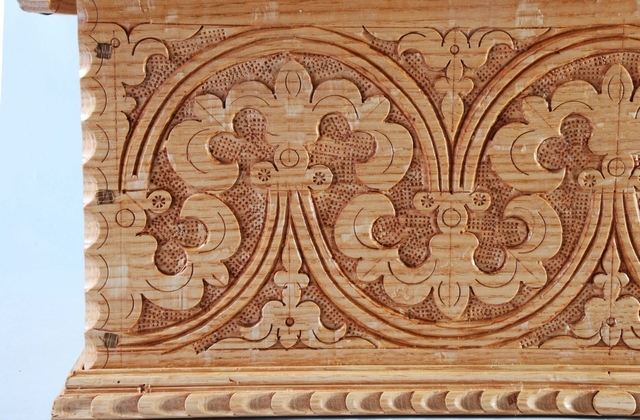 Starting the week with a floral relief design and then moving onto a scallop shell, the class will cap off the week with that wonderful and traditional acanthus leaf that is seen on so many period furniture pieces. Throughout the week Mary will also demonstrate a variety of tricks and techniques on how to efficiently use the gouges, how to make difficult carving cuts, how to sharpen tools to a razor sharp edge, and how to make the carving appear deeper than it actually is. Students will have the opportunity of working on projects of their own choosing along with projects that Mary has selected for their suitability in teaching the skills being demonstrated. This is a perfect class for both beginners and experienced carvers. Beginning carvers can learn the basics from Mary, while experienced carvers will have a whole week to pick Mary’s brain, clarify the questions they may have been struggling with over the years and practice the skills she will be showing you. 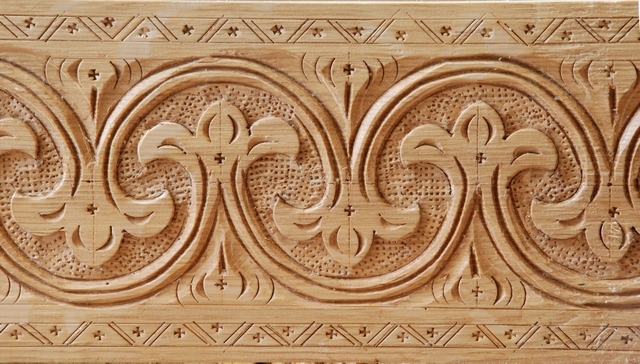 This is a great opportunity to learn both the basics and the advanced techniques under the guidance of one of our country’s best carvers and instructors. Sign up today- This is a week that you will not want to miss! Tuition: $745.00 plus materials. This class is all about developing confidence in your hand skills and learning the process of building a piece of furniture- from rough sawn lumber to finished piece. This five-day class concentrates on working with hand tools only. 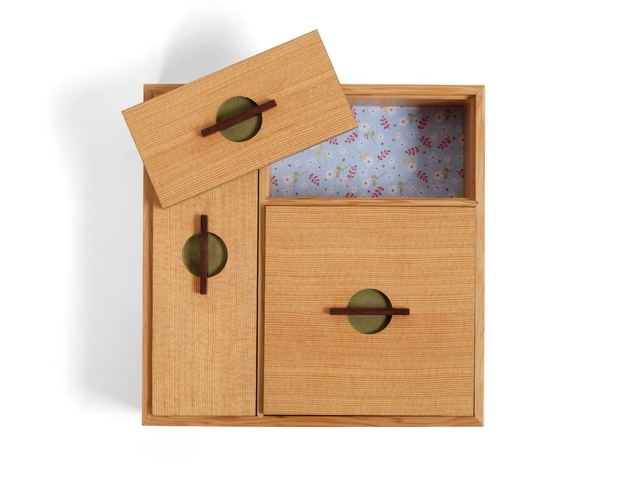 The project, a seemingly simple Japanese style tool box, allows us to focus on the fundamental building process- from selecting lumber and rough sawing parts to flattening, squaring and most importantly, learning how to do accurate layout. Of course, there will be plenty of planing, sawing and working with chisels. Whether you are into Western tools or Japanese tools, the underlying principals are the same and you will explore what it takes to get yourself- and your tools, to their full working potential. Not only will you go home with a practical and useful box, built entirely by hand, but also with the new skills, inspiration and confidence to build more. Andrew, who has been building furniture by hand for over 20 years, has a lot to offer any skill level and his enthusiasm for the work is contagious. While he focuses primarily on Japanese tools and techniques, the important concepts translate equally to Western style handtools. He will have his own Japanese tools for students to try and you will have the unique opportunity to compare working with Japanese tools to working with the Western tools in the school. This is also a great opportunity to bring along your own tools and work with Andrew to analyze their strengths and weaknesses. This is a great opportunity to learn woodworking by hand and you certainly do not want to miss it! Sign up today- Space is limited. 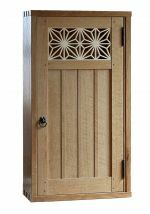 This four day class is tailored especially for woodworkers who are uneasy about the finishing process and wish to master the basic knowledge and techniques that will enable professional finishing results using easily available materials. The class is a mixture of lecture, demonstration, and has an emphasis on hands on activities that all students will complete using both sample panels and actual small project pieces, and hands on techniques that can be done in a home workshop. In the color world, students will learn the critical differences between pigment colors and dye colors and gain an understanding of how to decode the often confusing information found on the many cans and bottles of colorants. With this knowledge we will use both dyes and pigments in a classic finishing schedule including glazing and toning, and practice some simple steps to achieve rich colors, vibrant grain popping, and also to match existing colors. 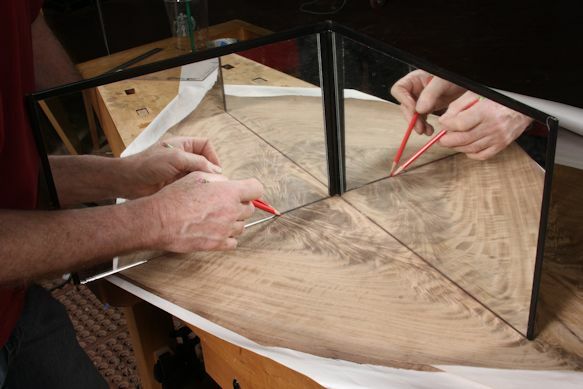 Students will also complete some basic furniture repair techniques using epoxy, colored waxes and both oil and acrylic colors to match missing or damaged grain. 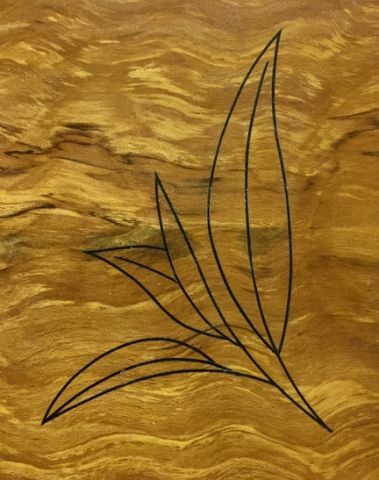 Students will get an introduction to faux finishing using both oil and water based colors to produce both wood grain and other decorative effects. In the world of topcoats, students will learn how to categorize virtually all finishes into one of five basic families, and how to successfully use products from each family by brush, pad and spray. Students will practice using the proper brushes for each type of finish, including shellac, oil based and water based, and also learn some basic spray techniques using commonly available aerosol products to achieve professional quality results. In addition Mike will demonstrate the basics of rubbing out a finish to a perfect sheen and feel, and also show some basic special effect techniques such as creating “age” with common asphaltum, otherwise known as roofing tar ! 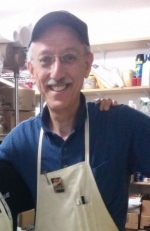 Mike Mascelli is a professional upholsterer in Latham, NY with over 40 years of experience in working and teaching, and is also Director of the Professional Refinisher’s Group, a national organization founded in 1998 to connect professionals in the restoration, refinishing and conservation trades . In his upholstery work he divides his time between classic furniture and classic cars, while his finishing expertise is based on years of shop experience and the counsel and mentoring of some of the most experienced wood finishers in the industry. 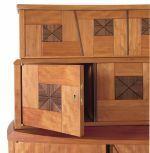 He has contributed to the Roubo on Furniture by Don Williams (Lost Art Press) and he also writes for the journal of the Society of American Period Furniture Makers and has completed several instructional videos on upholstery techniques. Are you starting to gather a hand tool collection but have no place to put it? 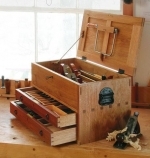 Here's a great tool chest that's big enough for an essential tool set, but small enough to take along with you to your next woodworking class. Recently featured in Fine Woodworking magazine, the chest has a tool well at the top where you can store hand planes and backsaws. Below it are two drawers that can be outfitted for chisels and layout tools and anything else you can think of. Join Mike Pekovich in this unique week-long class and build not only the tool chest, but a rolling stand as well. 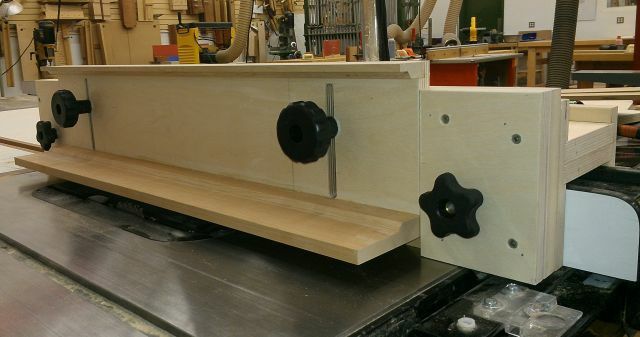 We'll assemble the case with dovetails and tenons, and top it off with a frame-and-panel lid. 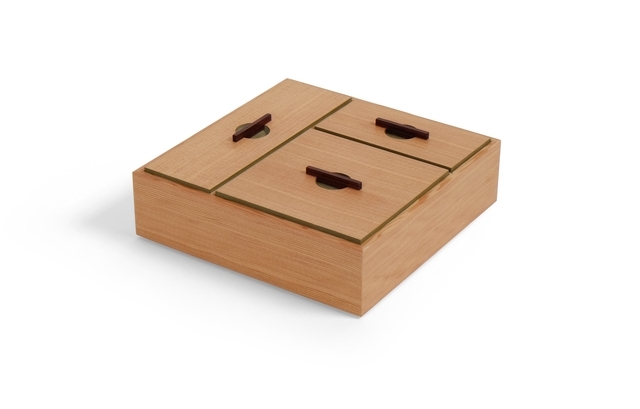 Finally, we'll build dovetailed drawers and outfit the interior with dividers custom-fit for your tools. Your collection of tools need a safe place to be and what better way to bring them to your next class at CVSW! Sign up today. Space is limited.